Hundreds of years ago, prosperous towns managed the various risks of foreign invaders, thieves, and wild animals by fortifying their entire communities with walls and towers. Today’s business owners can take a similar approach with enterprise risk management (ERM). 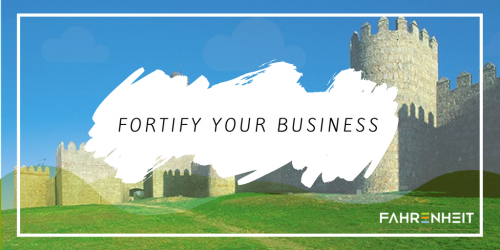 Just as medieval soldiers looked out from their battlements across field and forest to spot incoming dangers, you and your employees must maintain a constant gaze for developing risks. An ERM program, while an ambitious undertaking, can provide the structure for doing so. We’ve got a team of experts ready to assist you. Call us today at 804-955-4440 to learn more about the services we provide.